Organisations are becoming increasingly information driven and are rapidly shifting focus to requiring better information for long-term strategic planning. There is a lot of data required to provide this information and a lot of critical thought needed to change the data into useful information. Organisations need to improve the search for the right information that can be used immediately—to take action or make a decision—and this chapter examines the reality of this definition. The availability of effective management information is essential when coping with today's increasing organisation complexity. For the information system to be designed correctly in order to collect the requisite data and to be able to provide the necessary information, it is essential for the information system developers to know what information is required for managers and staff to run the organisation at all three levels of management: operational, tactical, and strategic. The information of course is not useful unless it is being communicated and it particularly needs to be communicated to the person that needs it. The information requirements for management planning should form part of the essential strategic plan documentation. This chapter is primarily aimed as a background discussion to the concept of ‘information’ versus data, with an emphasis on the determination and search for the ‘right’ information. Part of this process is the planning to get essential information from applications for future requirements, this is to provide for objective information in planning, and therefore to also plan for the collating and presenting ‘information’ from data. 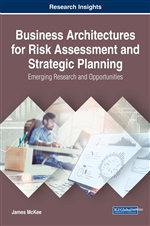 So, this chapter will cover the information system, the management information system, the need for strategic information system planning, and its alignment with the business strategic planning. “Information is the life blood of any business or organisation” and “research shows that proper management of information is critical to organisational growth and success” (Knowledge Management International, 2016). To be able to make effective decisions, management needs the best information collected by the information system, and in many organisations the data is collated and processed by the management information system. The management information system (MIS) should “ensure that an appropriate data is collected from the various sources, processed and sent further to all the needy destinations” (Sakthivel, 2014). The importance of access to information is the subject of a Q&A with Laura Neuman, a senior Program Associate of the ‘Americas Program’, with respect to information as the ‘key to democracy’. The focus of the Q&A, is that; people should have access to appropriate information to be able to be correctly involved in their own governance. Information is a powerful component of effective management, but in order for the information to be effective, it must be appropriate and managed correctly. “Managing information is a critical skill for success in today’s business environment” and “business managers need to be involved in information systems decisions because technology forms the backbone of all business decisions” (Pearlson, Saunders, & Galletta, 2016). However, although information is so essential to effective management, there is a very real problem of there being too much information available. “In an information rich world, the wealth of information means a dearth of something else: a scarcity of whatever that information consumes. What information consumes is rather obvious, it consumes the attention of the recipient” (Webster, 2014), so there is less attention available to the recipient (the staff of the organisation) for critical thinking and careful decision making. It makes it imperative that the analysts when finalising their report to the planners are very strict in applying Alter’s (2002) definition that information must be immediately useable to be called information or else it is still just data. However, the supporting data should always be linked to provide confirming detail. Brown and Duguid (2017) discuss the social issue of the current concern over the volume of information that is constantly growing and the and the problem of dealing with so much information: “Searching through an unstoppable flood of meaningless information…controlling the flow becomes the critical issue” (p. 14). However, there are also words of warning “where reports isolate information or data they too easily dismiss the complex social and organisational resources,” which give important context to the information (Brown & Duguid, 2017, p. 12).